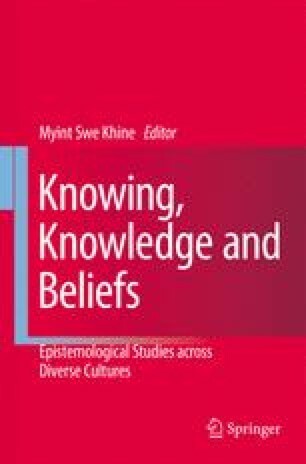 After Perry’s (1969) pioneering work, research on the psychology of epistemic beliefs, that is, personal beliefs about knowledge and knowing (Hofer & Pintrich, 2002), has flourished since the beginning of the 1990s. At least three major lines of investigation can be identified in the literature, the first of which deals with the development of epistemic thinking. According to developmental psychologists, it can be conceived as a cognitive structure comprising coherent and integrated representations, which characterize a level or stage of cognitive development. This cognitive structure has been described in relation to the ways of knowing (Belenky et al., 1986), epistemological reflection (Baxter Magolda, 1992), reflective judgment (King & Kitchener, 1994), relativistic thinking (Chandler et al., 1990), and argumentative reasoning (Kuhn, 1991). Coiro, J. (2003). Reading comprehension on the Internet: Expanding our understanding ofreading comprehension to encompass new literacies. Reading Online (www.readingonline.org/electronic/rt/2–03). International Reading Association (2001). Integrating literacy and technology in the curriculum: A position statement. Online document: http://www.reading.org/downloads/positions/ps1048_technology.pdf.